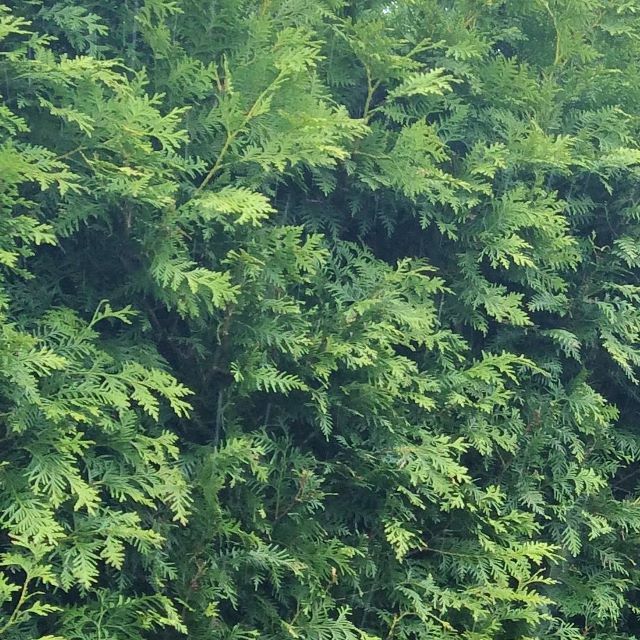 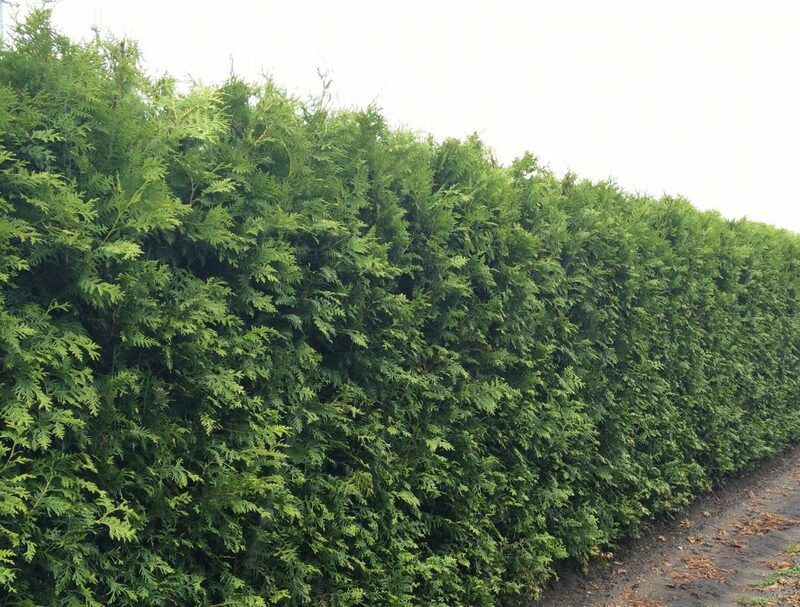 White Cedar (Thuja occidentalis Brabant) produces a dense, evergreen hedge. The leaves are an attractive light green that can take on a subtle bronze colour in the winter months. 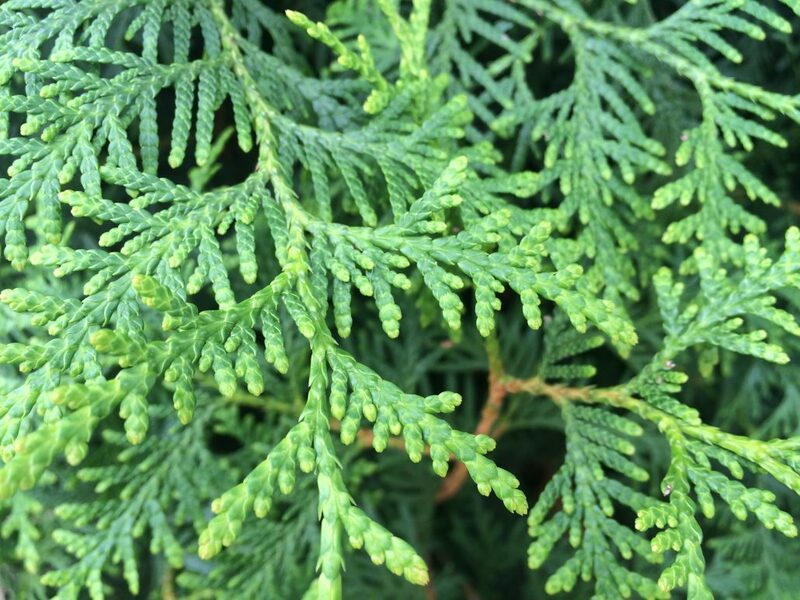 This mature evergreen screen grows well in most conditions but prefers moist, nutrient-full soil. A White Cedar Hedge is relatively slow growing (20 – 30 cm/year) and will need pruning once a year, preferably in late Summer.